Top Shelf presents the "final chapter" of Jeffrey Brown's so-called Girlfriend Trilogy. 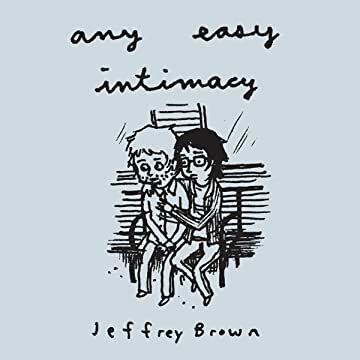 AEIOU or Any Easy Intimacy continues to explore the subtleties of relationships explored in Clumsy and Unlikely, concentrating this time on the differences between knowing and loving someone, invoking the reader's relationship with the book as a parallel to being involved with someone. 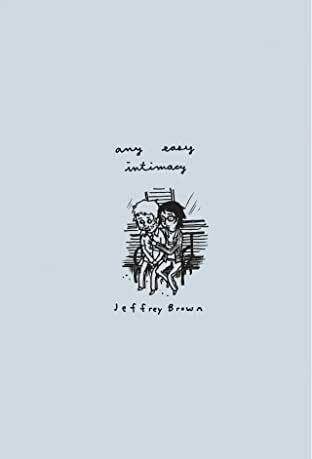 The story is told with Brown's trademark expressive drawings and juxtaposition of humor and heartache.